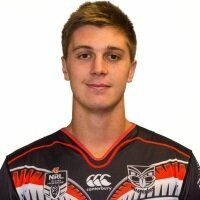 Born in Sydney, New South Wales, Lane played his junior rugby league for the South Eastern Seagulls, before being signed by the Canterbury-Bankstown Bulldogs. Lane is the younger brother of former Bulldogs player Brett Lane. 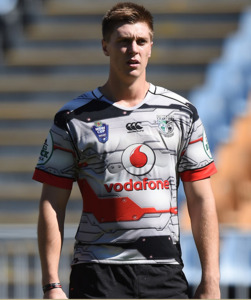 In 2013 and 2014, Lane played for the Canterbury-Bankstown Bulldogs' NYC team. In 2015, Lane moved on to the Bulldogs' New South Wales Cup team. 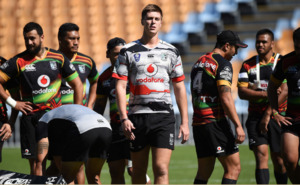 In Round 14 of the 2015 NRL season, he made his NRL debut for the Bulldogs against the Gold Coast Titans. On 27 September, he was named on the interchange bench in the 2015 New South Wales Cup Team of the Year. 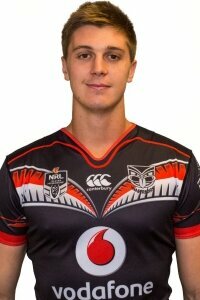 On 29 March it was announced that Shaun Lane had signed with the Warriors in a player swap for Raymond Faitala-Mariner. Away from football I like to go to the movies, play video games & board games. My first job was as a Teachers Aide. My main goals in Rugby league would be to play 200 first grade games. My biggest influence would be my parents and brother. My earliest memory in Rugby League is crying every time I got tackled when I was five! My best memory in rugby league was getting Man of the Match during my third NRL game at Belmore, such a great atmosphere and surreal experience. Be patient and persevere through tough times. The player I most looked up to is Andrew Johns; he was the best player I have ever seen. My first memories of playing NRL were getting told I was playing on the Thursday afternoon by Des. Running onto the field was amazing and supporting Josh Reynolds as he made a break against the Titans, it was a dream come true. My favourite sportsman is Michael Jordan, he always found a way to win. I enjoyed playing against Alex Johnstone; he is lightning quick and a great competitor. I would love to be a professional Basketball player, the boys call me “mini giraffe” so I think I would fit the bill. If I wasn’t playing league I would be completing a University degree. I would love to be remembered as someone who always gave their best.